BUCYRUS — A Galion man accused of scamming a Galion resident out of more than $11,000 made his initial appearance Monday in Crawford County Common Please Court. Chad Hissong, 37, of Galion, was arraigned on one count of felony theft. He is accused of accepting $11,770 to remodel an elderly man’s kitchen. Prosecutor Matt Crall said at one point the victim tried to get out of the transaction, but was unable to stop it. Judge Sean Leuthold entered a not guilty plea on behalf of Hissong and appointed attorney Brian Gernert to represent him. Bond was set at $25,000. Also, Robert Fulker, 52, of Galion, was indicted on three charges. Fulker is accused of possession of marijuana, illegal cultivation of drugs/marijuana and possession of drug paraphernalia. Bond was set at $75,000. Attorney Tom Nicholson was appointed to represent Fulker. Phillip Tesso, 25, of Crestline, was indicted on one count of first-degree aggravated burglary. He is accused of breaking into a Thrush Avenue residence. According to Prosecutor Matt Crall, Tesso broke down the door in the residence occupied by his girlfriend and caused bruising and swelling to his girlfriend after she refused to give him money to purchase drugs. The woman is pregnant, allegedly with Tesso’s child. Bond was set at $500,000 and appointed attorney Brad Starkey was named to represent Tesso. In other action, Taylor Bradley-Fisher 24, of Marion was also indicted on a first degree felony of aggravated burglary. She accused of breaking into a home on Lemert Road in Bucyrus where her former boyfriend lives. Fisher knew the home and entered through a window. Her ex-boyfriend heard a noise and pulled his firearm; but realized just before firing that it was Fisher in the home. “What we have here is focused on a relationship.” Leuthold said. “It’s not like the previous case where a guy allegedly beat up his girlfriend because she wouldn’t give him drug money.” said Leuthold, before setting bond at $50,000. Attorney Joel Spitzer was appointed to represent her. 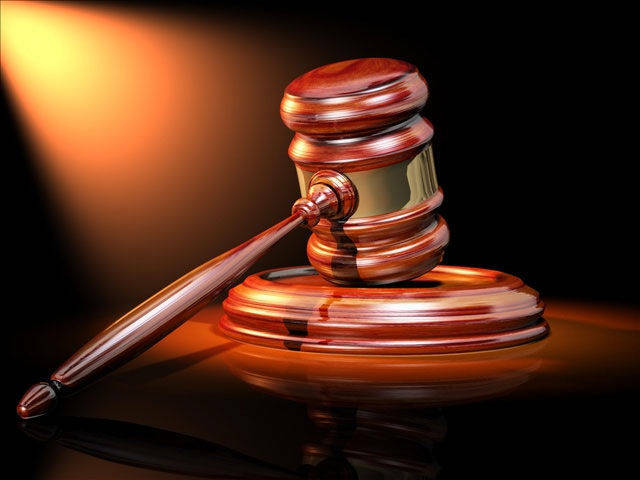 Zachary Johnson, 20, of Bucyrus, was sentenced to one year in prison after he pleaded guilty to violating the conditions of his Community Control. Johnson admitted to refusing to submit to a drug test April 18, 2018. Johnson was originally sentenced to Community Control in 2016 after a conviction on unlawful sexual conduct with a minor. Joseph Wagner 28, of Bucyrus, was sentenced to four years in prison after he pled guilty to a violation of his Community Control. Johnson admitted to stealing a bottle of liquor from Earhardt’s Party Store in Bucyrus. He also admitted to consuming alcohol and using marijuana.